The Office of the National Ombudsman in Colombia has released new figures which show that 423 civil society activists were murdered in the country between 1 January 2016 and 30 November 2018. The figures include 164 people in 2018 (153 men and 11 women), the bloodiest year overall. In June, the Ombudsman said that the figure to that point was 311 killings. The new findings emphasise the high levels of violence facing, among others, community leaders, African-Colombian and indigenous leaders, political activists, environmental defenders, trade unionists, journalists and people working to implement the 2016 peace agreement. Difficulties in compiling a definitive number of victims means that the figure could be even higher. 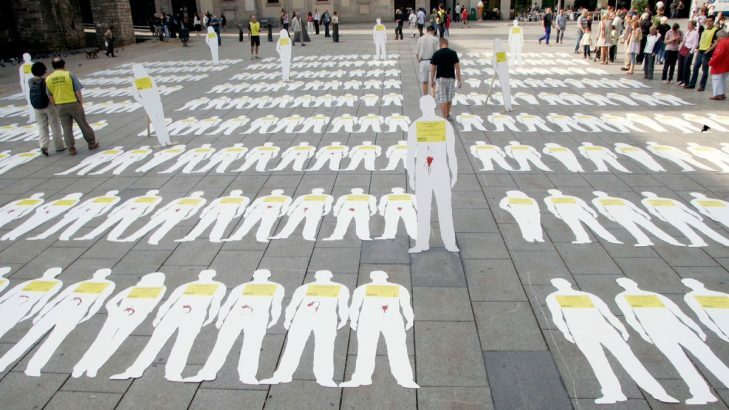 In November, Colombian human rights organisations said that 226 people had been killed in 2018 alone. The United Nations High Commissioner for Human Rights in Colombia, Alberto Brunori, recently called the situation ‘urgent and of extreme concern’. ‘There is debate about the numbers, possible solutions are announced but, finally, the measures to date have not worked. Quite the opposite’, he said.